Made for the Saiga AK 7.62x39mm & Variants. The Chaos AK Apollo 11380 Forend is manufactured to the highest standards in the industry. 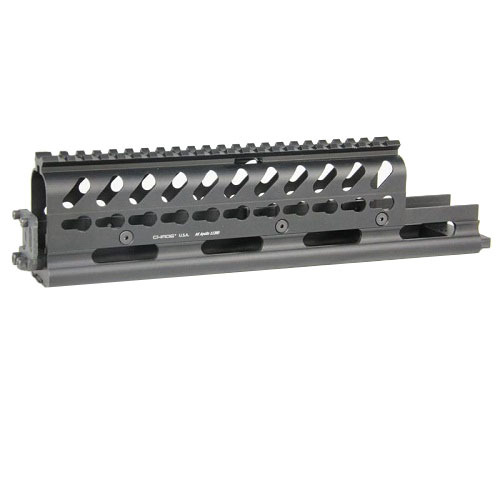 This is a rugged yet lightweight KeyMod rail system. Our KeyMod Rail Forends & Systems are made from aircraft grade 6061 Aluminum Alloy. Hard coat military specification MILITARY SPECIFICATION MIL-A-8625 or (Type III Hard anodized, Non-Reflective). (May require some file fitting).